Julius Klengel was born on 24 September 1859 in Leipzig. After receiving first cello lessons from his father, an amateur musician and friend of Mendelssohn’s, he studied with Emil Hegar (1843–1921). Swiss-born Hegar, who had been a pupil of Friedrich Grützmacher (the elder), was a cellist in the Gewandhaus Orchestra. When Klengel was fifteen, he also entered the Gewandhaus Orchestra, and in 1876 made his debut there as a soloist. In 1881, he advanced to the position of principal cellist and was made a professor at the Leipzig conservatory – a position that he was to hold until 1924. From 1911 onwards, he also taught at the newly founded conservatory in Erfurt. Klengel is nowadays regarded to be the founder of the German cello tradition, and the list of his students includes names such as Emanuel Feuermann, Paul Grümmer, Ludwig Hoelscher, Gregor Piatigorsky, Joachim Stutschewsky, Guilhermina Suggia and – as one of his last pupils – my own teacher William Pleeth. In 1924, when Klengel celebrated the 50th anniversary of being a professional musician, his Double Concerto for violin, cello and orchestra, Op. 61, was premiered by the Gewandhaus Orchestra under Wilhelm Furtwängler. Klengel was friends with Joseph Joachim, Anton Rubinstein, Max Reger (who dedicated his first cello suite and his fourth cello sonata to Klengel) and Johannes Brahms, who all highly respected him. As a soloist, Klengel was internationally active, e.g. playing the first Russian performance of the Haydn cello concerto in 1887. He was also a fine pianist and accompanied his students regularly and always playing from memory. William Pleeth remembered Klengel’s teaching and personality as “calm, without yelling and such, a wonderful human being”, and in 1931 Klengel enabled Pleeth to debut with the Gewandhaus Orchestra as a soloist in the Dvořák Cello Concerto. 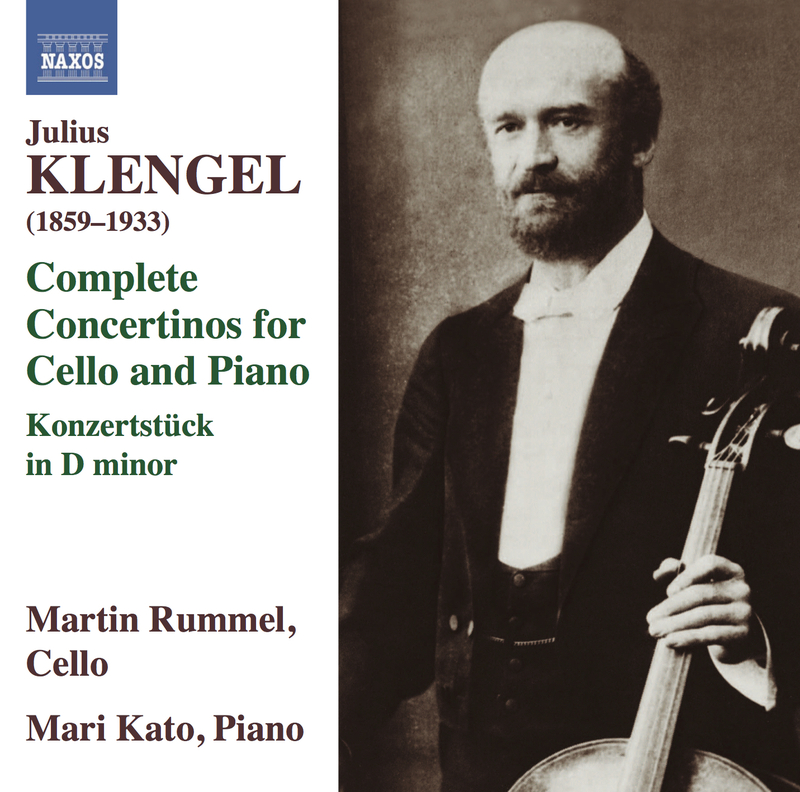 Klengel’s own compositions include four cello concertos, several virtuoso pieces, the famous “Hymnus” for twelve cellos (written for a memorial concert to honor the late conductor Arthur Nikisch) and a few pedagogic works. Besides technical studies, there are piano trios for “children” and the concertinos featured on this recording. The piano accompaniments sound like orchestra reductions, but they were only written as if they were, which might have inspired orchestrations of Opp. 7 and 10 that were made in the last decades. Young cellists will find excellent possibilities to work on both their range of expression and their technical abilities in the “solo” parts. The Klengel concertinos are exemplary for the genre of the “study concerto” and should be part of every young cellist’s repertoire. Julius Klengel died in Leipzig on 27 October 1933. His daughter Eva (1891–1975) continued the tradition of his pedagogy, running a school for young cellists from 1935 to 1955.